Wherever we are, there is wildlife all around us. 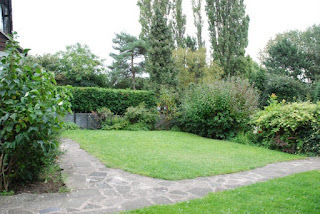 Whether we are in our gardens or in our homes, we are sharing our spaces with creatures great and small. I agreed to review these books as I thought they would be fascinating. I have not paid for these books and I have received no payment for reviewing them; my words and opinions are, however, my own. I decided to review them as a pair as whilst you could of course buy one without the other, I think they make great companion reading. 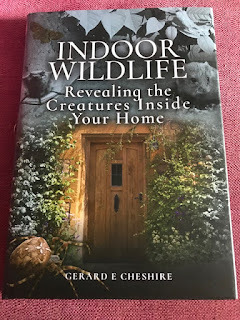 The book on Indoor Wildlife is charming, intriguing and eye opening. It has five sections: Mammals, Rodents, Birds, Invertebrates and Flora. 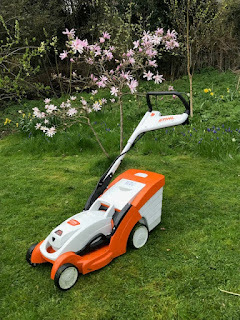 Gerard begins by talking about foxes, thankfully I have not had a fox in the home but they do frequent my sub-urban garden and get into my rubbish when it is put out for collection. Next there is discussion about rodents, this is an issue dear to my heart as my cats have a habit of bringing them into the house and letting them escape. The photography in the book is beautiful and it is full of interesting information such as the Town Pigeon is descended from the rock dove and has swapped cliff edges for buildings. 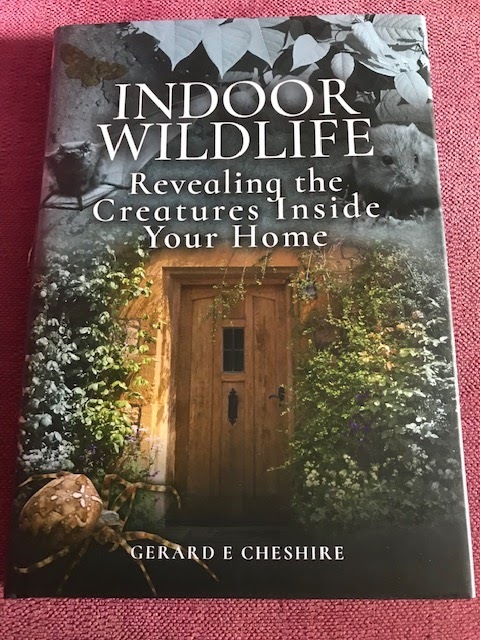 The section on invertebrates starts on spiders and we know we share our homes with them; but then it moves onto the smaller of our neighbours: the Wall Velvet Mite, the Silky Velvet Mite and...... the Face Mite. Yes dear reader the Face Mite that lives in hair follicles on faces. After reading this the discussion of Flour Mites and Bed Bugs just pales into insignificance. The Garden Wildlife Book follows a similar format and includes sections on Amphibians and Fish. Again the photography is beautiful and helps with the identification of the many whom we share our gardens with. The bird section was really useful for me. I know a lot of common birds but I am woefully poor at knowing some of the visitors to my garden. Similarly the butterfly section has good clear pictures to help us identify them. The other insects section was of great interest to me. I see so many bugs in my garden yet I know who few of them are or what they do. 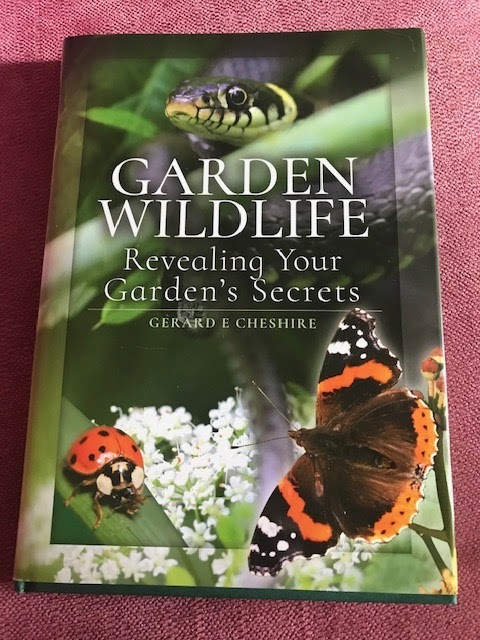 I am not a general killer of any insect I find, but I do wonder sometimes if they are friend or foe, this book helps with this. 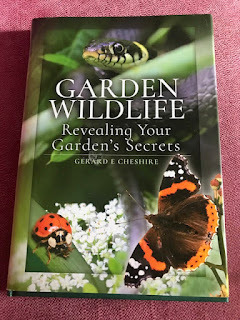 I did observe that the plant section does cover rather swiftly algae, liverworts, fungi etc, which is a shame, but to do them justice would be a further book (or books) in themselves. This is a minor quibble in what is a very good pair of books. 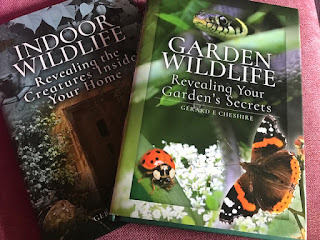 I think they would be interesting for anyone who cares about the environment in which we live in and also maybe good books to tempt young people into taking an interest in who they are sharing their homes with. They are a nice mixture of what could be described as: the pretty (birds) and the gross (face mites and mold) and many other things inbetween.